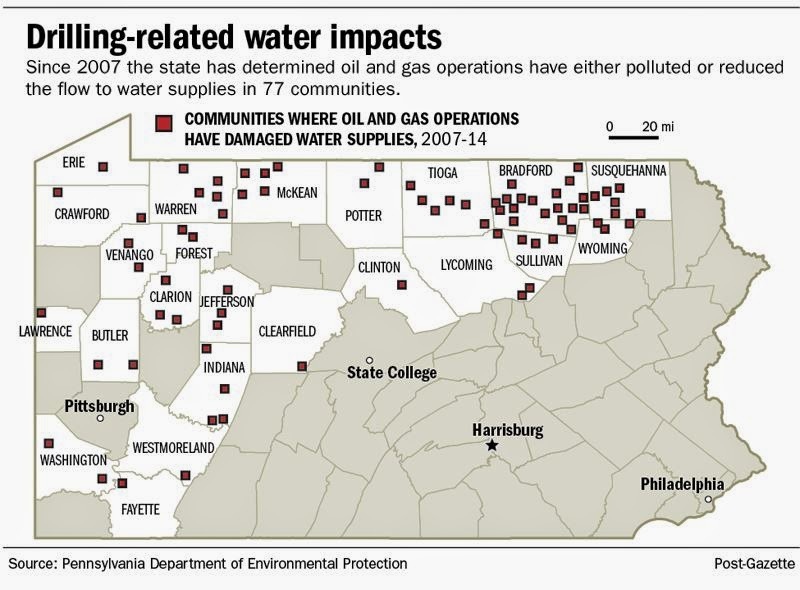 The Pennsylvania Department of Environmental Protection admits that oil and gas operations damaged water supplies 209 times since end of 2007. This picture is worth a thousand words, but you can read the entire article in Post Gazette. Today Pennsylvania auditor general Eugene DePasquale told the press that the state’s rapid shale gas development outpaced the PA Department of Environmental Protection’s ability to oversee industry and protect water quality. The department, he said, was hampered in doing their jobs by understaffing, lack of modern technological resources, and inconsistent policies. “It is almost like firefighters trying to put out a five-alarm fire with a 20-foot garden hose,” said DePasquale. The audit, covering 2009 – 2012, revealed that DEP failed to consistently issue official orders to well operators who had been determined by DEP to have adversely impacted water supplies. After reviewing a selection of 15 complaint files for confirmed water supply impact, auditors discovered that DEP issued just one order to a well operator to restore or replace the adversely impacted water supply. DEP did a poor job in communicating its investigation results to citizens who registered complaints with the department. The agency was not always timely in meeting statutory timeframes for response to complaints it did receive. DEP’s complaint tracking system, used to monitor all environmental complaints including those that are oil and gas related, was ineffective as it did not provide management with reliable information to effectively manage the program. Auditors were unable to measure how quickly DEP conducted initial inspection of shale gas wells, a basic regulatory responsibility, because of a lack of reliable data. They discovered DEP uses a 25-year-old policy on the frequency of inspections, which has a “loop hole,” that only requires DEP to conduct inspections as it has the financial and human resources to do so. DEP does not post to its website all statutorily required inspection information. When the data was tested for accuracy, the auditors found errors of more than 25 percent in key data fields, and that as many as 76 percent of inspectors’ comments were omitted from the online inspection reporting. DEP does not use a manifest system for tracking shale gas well waste from the well site to disposal. Instead DEP relies upon a disjointed process that includes self-reporting by well operators with no assurances that waste is disposed of properly. Auditors found accessing DEP data to be a challenge, as it is a myriad of confusing web links and jargon. The information that was presented on its decades-old eFACTS database was often incomplete—requiring a physical review of hard-copy files at distant offices to verify the actual information. Hard-copy files were no better. “Through our audit we found that even conducting a review of hard-copy files is not a fool-proof guarantee, as we found some supporting paper files were missing and DEP was not able to produce them,” DePasquale said. reconfigure the agency website and provide complete and pertinent information in a clear and easily understandable manner. “Shale gas development offers significant benefits to our commonwealth and our nation, but these benefits cannot come at the expense of the public’s trust, health, and well-being,” DePasquale said. A full copy of the audit report is available here. 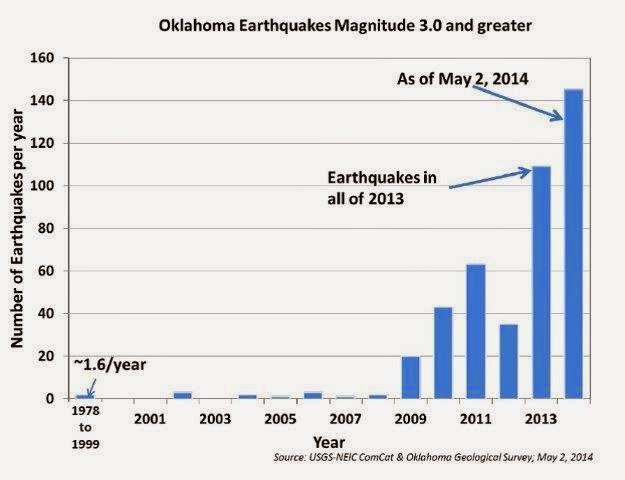 Five years ago, Oklahoma averaged just two magnitude 3 or greater earthquakes a year. Last year there were 109. As of early July, this year’s count is already over 230 - and that’s just the magnitude 3 and above, temblors big enough to knock dishes off shelves and crack foundations. There are hundreds more low magnitude quakes, say state geologists. Why all the quakes? They're due to increased injection of gas- and oil drilling waste fluids into disposal wells, says Cornell researcher Katie Keranen. She recently moved to Cornell from Oklahoma, where she'd been studying injection well-induced seismicity for a few years. Earlier this month she and her colleagues published a paper in the journal Sciencethat links injection wells to tremors. Their research also demonstrates that those quakes can occur up to 30 miles from the original injection well site. Keranen got interested in the relationship between drilling and tremors after the Prague, Oklahoma quake in 2011. That 5.6-magnitude quake was centered just 45 miles northeast of Oklahoma City and was felt as far away as Texas, Arkansas, Kansas, and Missouri. Her research led her to study swarms of quakes originating near the town of that same name. "These seismic events didn’t match the tectonic sequence," she told me in an interview last week. As she explained it, a normal sequence looks like this: after one earthquake there may be subsequent tremors, but they’re in the same plane below the surface and tend to follow a linear streak. In the Jones swarm, and other gas-field related swarms, the quakes are more scattered over a broad area. And that piqued her curiosity. The Jones swarm began within13 miles of the highest-rate waste fluid disposal wells in Oklahoma. So the first question Keranen asked was whether the number of injection wells had increased dramatically. They hadn’t. The increase in number of injection wells was gradual. “The thing that has changed significantly is the volume of waste fluids pumped into the disposal wells,”she says. Of all the injection wells she looked at, the four with the highest waste-disposal injection rates are southwest of Jones, situated in southeast Oklahoma City. Between them, they accept over 4 million barrels each month, most of it from dewatering production of oil. (Dewatering production wells produce huge amounts of waste fluid, most coming from the formation – up to 200 times as much waste fluid as oil.) Disposal rates jumped after 2004, when high-rate injection wells began operating. All of that injected fluid presses against underground rocks. Originally, geologists thought that waste fluids injected deep underground would take a long time to work its way through the formations. But Keranen finds that it’s moving faster than expected and building up pressure farther away than expected, leading to seismic events 18 to 20 miles from the original injection site. Given the increasing number of injection-well related quakes, and that most states have lots of faults beneath the surface, there is a clear need for better regulation of the underground injection wells. Already some municipalities are requiring operators to increase seismic monitoring and monitor well pressures. But that's not enough, says Keranen. Operators must also be willing to dial down the injection volumes. Ohio is already taking steps that require injection well operators to decrease injection volumes when they see an increase in their seismic meters, she says. Last month, Candor Town Supervisor Bob Riggs told our town planning board to revise the town's Comprehensive Plan. Because, as he stated to the local reporter, "... about two years ago we voted on [and passed] the resolution about natural gas development in the town and in my opinion if you read what we approved alongside the comprehensive plan, it’s in conflict. Those two things ought to be consistent." His solution? If a mostly pro-drilling town board passes a resolution crafted by outsiders (Joint Landowners Coalition) and pushed by board members who have leased their land for gas drilling (conflict of interest), then of course the planning board should change the Comprehensive Plan to align with this "new reality". At issue: the planning board didn't write the Comprehensive Plan all by itself. It was a community effort that took more than a year and involved town-wide meetings. Also at issue: at the core of the Comprehensive Plan is the people's desire for a small town environment. A survey of the residents showed that they like open space; that they moved to Candor for the beauty and privacy it affords. They prefaced the entire document with a mission statement that concludes, "... we are committed to being stewards of our children and the elderly and of the precious finite resources that must be shared with future generations." 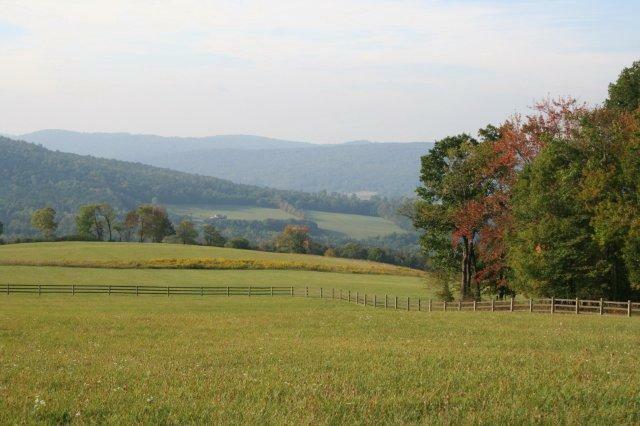 After a decade the plan was updated, and new goals added that included protecting the aquifer, open spaces, land use patterns, rural character, soils and agricultural land. But with the recent Court decision upholding a town's right to determine where and whether drilling may occur within town limits, there's renewed pressure on rural, un-zoned towns to declare that they are willing to be fracked. Big towns, too, as Tom Wilber points out in his recent post. So last month a couple of us attended the Candor Planning Board's workshop meeting to see what their process would entail. We asked whether they would do a community survey. Their response: why? They suggested that industrialized unconventional drilling would fit under "light industry". Given the freedom to revise, without community input, the majority of the members on Candor's planning board would toss the Comprehensive Plan under the fracking bus. What they don't see on their drives to Pennsylvania, and what they aren't hearing from folks who are getting royalty payments, is that drilling is a Large Industrial Activity. It is not compatible with beauty and privacy, clean water, fresh air, and the sound of sweet birds singing. Unconventional industrialized gas drilling contaminates drinking water. At least four states confirm this. 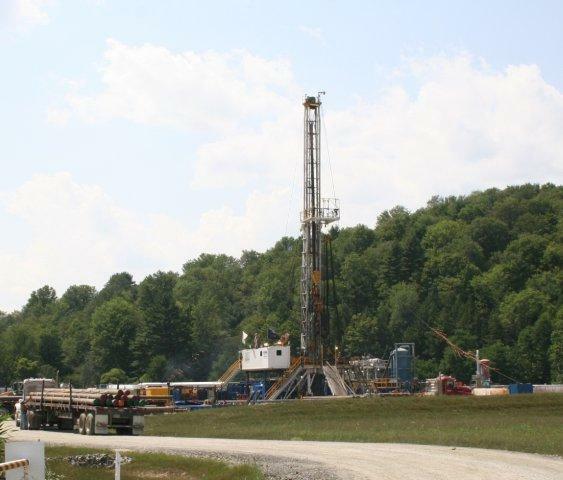 Unconventional industrialized gas drilling can make the earth shake beneath your feet. 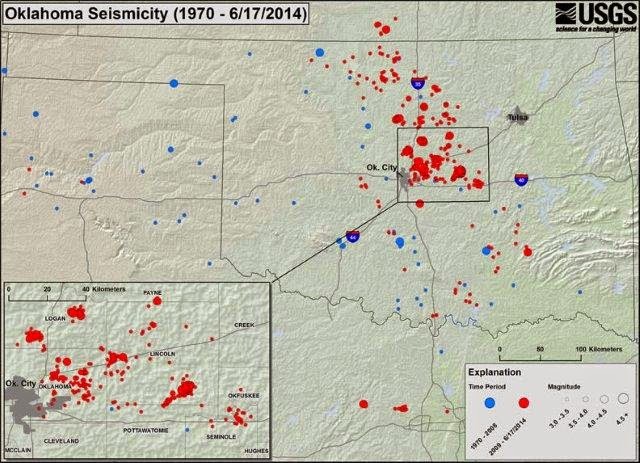 Just last weekend Oklahoma had 11 earthquakes caused by injecting drilling wastewater into disposal wells. As any NY geologist will tell you, we've got faults beneath our feet. Unconventional industrialized gas drilling is dangerous. Wells explode. Compressors explode. Pipelines explode. Methane leaks into homes and fields. Somehow these things don't jive with the "peaceful rural living" that brings residents to our town.